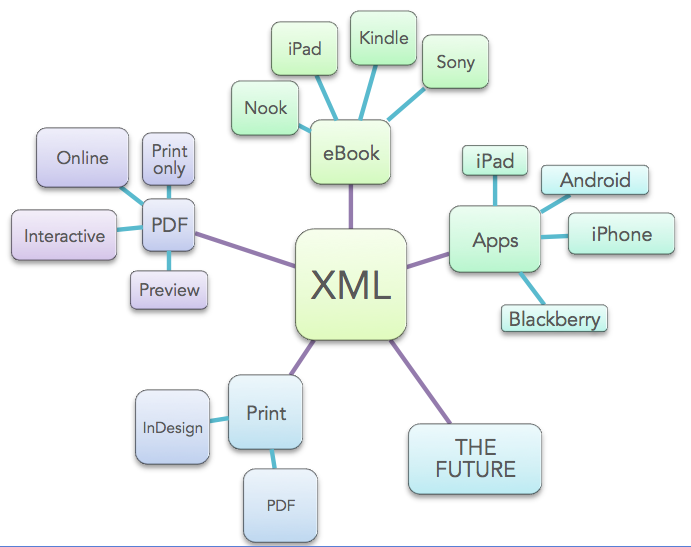 No matter where you implement XML in your publishing workflow, there’s no debate that it’s an imperative component to respond to the evolving market needs. Cenveo Publisher Services provides publishers with XML that conforms to industry standards, specific delivery targets, and unique DTDs. Our XML editing tools ensure quality control and provide a common platform for managing XML. With built-in features that identify XML errors and directly link the errors to the corresponding data in files, we maintain editorial and structural integrity of content. Identifying the nature of the error in relation to the data file increases quality control efficiencies and makes the process of delivering consistent error-free XML files far more efficient than traditional quality control measures. Contact us and let us provide a publishing roadmap that ensures your agile publishing framework is set on a strong XML foundation.